PCA9685 module is a 16 Channel Servo Motor Driver. It is used to control upto 16 servo motors with just two pins of the Arduino, Raspberry Pi or any other microcontroller with I2C. Controlling the servos is simple and easy. Servos can be plugged in directly to the board with no additional circuits or connectors required. This board is great for building humanoids, bipeds, hexapods, rc quadcopters and planes, etc. 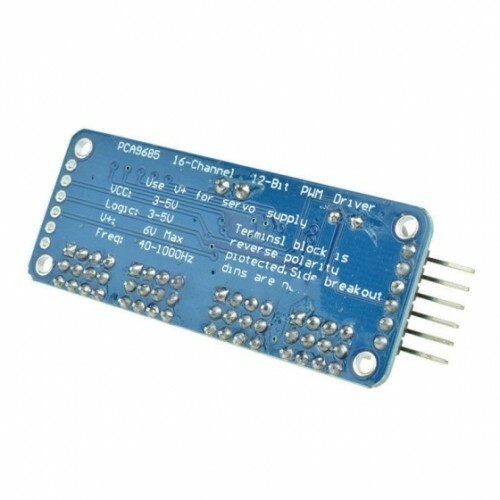 is a 16 Channel Servo Motor Driver.